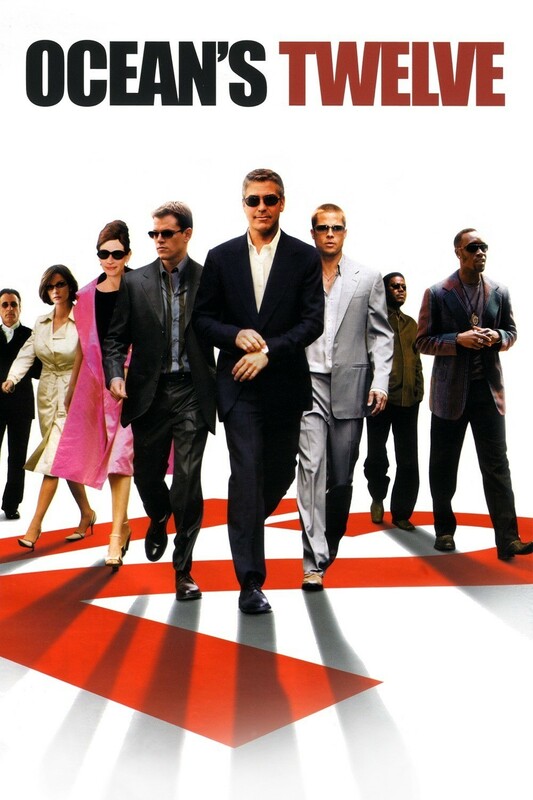 So, Danny Ocean (George Clooney) is back out of jail (again) and he and the rest of the eleven have found things to spend their millions on. But Terry Benedict (Andy Garcia) has found them, and insists on compensation. And then there is Francois Toulour (Vincent Cassel), a super-rich, super-clever gangster who wants to compete against Ocean to be considered the best thief in the world, and Isabel Lahiri (Catherine Zeta-Jones) a beautiful police officer who was dating Rusty Ryan (Brad Pitt), but now is set to catch him and arrest him. Again, there is a lot of fun, trickiness and playing with expectations, but it is, yet again, ruined for me by the representations of the females in the film. At least Tess (JuliaRoberts) gets a bit of a better go this time, actually doing something (even if she is forced into it by a whole bunch of men she doesn’t even know… creepy) (although seeing her play a character pretending to be Julia Roberts was a lot of fun). Then there is the Catherine Zeta-Jones character, a high-ranking police officer who is driven to fraud by her emotions – the need for revenge against her ex, and who (spoiler alert) is manipulated into giving up her very successful career by the very same ex and her father, who she believed was dead. Men manipulating women a lot. Way to spoil a good, fun film.